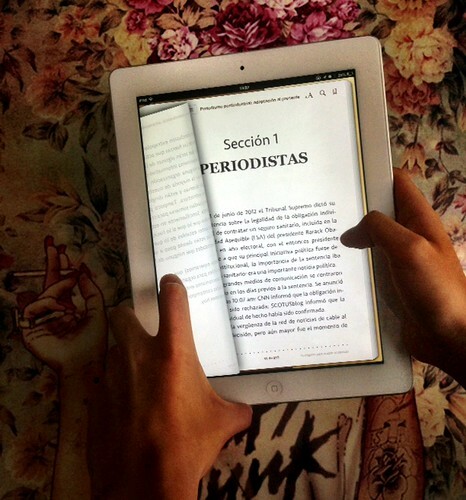 I like the convenience of reading on a tablet, but I prefer annotating PDFs to reading in Kindle or epub. If I’m buying a book and taking notes, I want to save and read my notes right alongside the text and in the file later. I also want a visually appealing page, and a fixed layout. Yet often I can only get ebooks in epub. This means I often need to save websites, Word docs, and epubs to PDF before I read them on my tablet. At first, I found it hard to get a “pretty” PDF from an epub file; the default conversion in Calibre produced ugly results. Because it took me a while to develop my system, I’m sharing what I’ve learned with other academic / non-fiction reading people, below! 1) Download and install Calibre, a respected free application that will convert ebooks to and from many formats. 2) Tick the red Add Books icon (top left) to import your ebooks. If you need a classic ebook to follow along, use the free ePub books at Project Gutenberg. 5) On the left, select Look and Feel (colorful paint jar). Under “fonts,” adjust your minimum line height to 130% to space out the text. – first, tick “override page size set in output profile” to enter a custom page size. I use 6×9 inches for a full-size iPad. – add page numbers for convenience — although they won’t match the printed book. – set a “serif family” font. I use Book Antiqua. You can also download and try free reading fonts like Cambria, Musica, Bembo, and Remington. – set a “sans family” font. Calibri is simple and easy; Arial is another good option. – set a default font size. The best size all depends on the font you use. I usually go with 16 px or 18 px depending on the book; your eyes may want a bigger font. Tip: Play with the page and font settings. You can always delete the PDF and re-convert, till you get something pleasing and comfortable for you to read. Once you’ve set these defaults in preference, the only thing you need to do is: Select as many books as you want –> Convert Books –> select “PDF” at the top right of the conversion pop-up. Everything else should be set! ahhhhhh this was so useful. thank you! thanks ! you are much better than the stupid manual and answers from the software author.